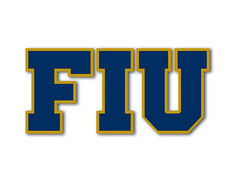 FIUGoldenPanthers.com • View topic - Does anyone know? Are the FIU Apartments owned by FIU? If so, why don't they tear them down and rebuild them, they are old, ugly, a terrible waste of the limited land we have (2 floors I believe) and style wise they don't fit the rest of the campus. There are plans to do just that and expand on the Medical District Area with other buildings and/or dorms for Medical students. However, everything has to go at a certain pace. Also, those apartments were built and finished in 2015 (I inaugurated one of those units, btw), which means that those 30 year bonds were just recently paid off and the university is finally getting some needed $$$ cash flow out of that initial investment. They will be discarded, most likely, in stages. I'm ok with that. Speaking of housing, I was at Biscayne Bay campus last week and they have gorgeous new housing. They've made some improvements to that campus and it's starting to feel like an actual college campus.